Experiencing a sewer or septic tank backup can be a most disturbing event. The look and smell of a sewer or septic backup is bad enough, but the health risks involved should prompt you to call a sewage backup repair expert in Cary, NC without delay. Emergency Plumbing Cary has the tools and experience to handle all of your septic and sewer backup repair needs in Cary, NC and surrounding areas professionally and safely. Contact a sewage backup plumber 24 hours a day with Emergency Plumbing Cary for emergency septic tank backup and sewage backup repair. Sewer and septic backups usually occur from build up over time. Water backups in showers, tubs, toilets, sinks, and drains accompanied by gurgling noises, strong odors, slow draining, and exceptionally green grass above your septic system are all signs of a sewage backup. Septic and sewer backup repair should be left to experts, as sewage contains bacteria, viruses, blood borne pathogens, and disease that can be harmful if not treated properly. Contact a sewage backup plumber from Emergency Plumbing Cary at the first signs of a sewer or septic backup. Emergency Plumbing Cary is the sewage backup repair company in Cary, NC to trust for all your sewer and septic backup needs. 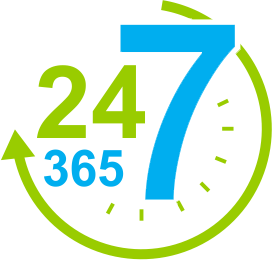 A sewage backup plumber from our team is on call 24 hours a day to handle septic and sewer backup repair emergencies. We will locate the cause of your backup and provide the septic or sewage backup repair services needed to return drains and plumbing systems to normal. Our sewage backup repair plumbers are trained in the proper handling of sewage to avoid cross contamination and spread of disease. Emergency Plumbing Cary works closely with sewage backup cleanup and restoration experts in the area to make sure your home or business is safe and clean. For all of your septic tank backup and sewer backup repair needs in Cary, NC and beyond, contact a sewage backup plumber with Emergency Plumbing Cary. For all of your sewer backup repair, septic tank backup, and sewage backup repair needs in Knightdale, Garner, Apex, Raleigh, Morrisville, and Cary, NC, contact a sewage backup plumber from Emergency Plumbing Cary. We will locate the cause of your sewer or septic tank backup and provide sewage backup repair, no matter the time of day. Trust Emergency Plumbing Cary for all of your plumbing needs, including plumbing installation, plumbing repair, and plumbing inspections and water testing services in Cary, NC and the Triangle area. Contact us online now or call 919-628-9941.